Practical Boat Owner: A Scottish man and an Irish woman has died yesterday in the West Coast of South Africa, when their yacht capsized off Western Cape. National Sea Rescue Institute (NSRI) crews received reports of a yacht capsizing from the Transnet National Ports Authority (TNPA). An NSRI sea rescue craft was then launched and rescue vehicles from the South African Police Services, EMS rescue squad, Police Dive Unit and WC Government Health responded and found the yacht Tara broken up amongst rocks on the shore line. It is still unknown what caused the yacht to run aground and the South African Maritime Safety Authority will continue to investigate, as it could not be confirmed if the yacht had capsized before running aground. On board the yacht were three crew members reportedly sailing from Langebaan to Cape Town. 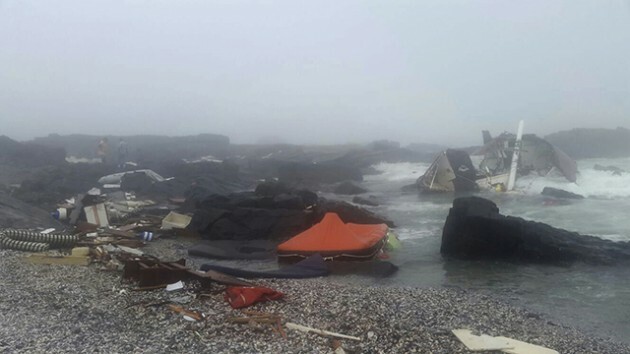 There was one survivor, an 66-year-old Irish man, a resident in the Western Cape, he had managed to get to shore and raised the alarm. He was not injured. The bodies of a 61-year-old Scotsman, and a 49-year-old Irish woman, both also residents in the Western Cape, were recovered from the scene and Paramedics confirmed that they were both dead.